No matter how hard you try, your iPhone will be loaded with photos, apps, media, and the data which the apps leave behind. The worst case scenario is when the storage of your iPhone is nearly full and its flash memory’s ability to write data is reduced. This will result in slowing down everything. If you believe that the performance of your iPhone has dropped in the last few months, then there is a major possibility that it might be due to storage issues. But luckily, cleaning the storage of your iPhone is not a difficult or time-consuming process. Gone are the days when you had to manually delete each and every file to free up space in your iPhone. Now there are many clean masters for iPhone that you can use to manage the storage of your iPhone and improve its performance. 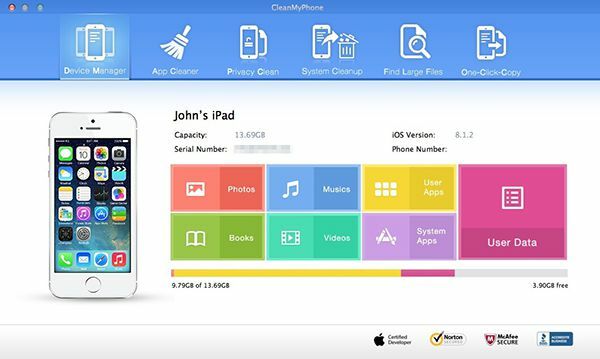 To help you select the best from the myriad of clean masters available on the internet, we’ve listed 3 of the best clean master for iPhone. Fully compatible with iOS 11. Work for iPhone X/8/7/7s/6/6s/5/5s/4/4s. 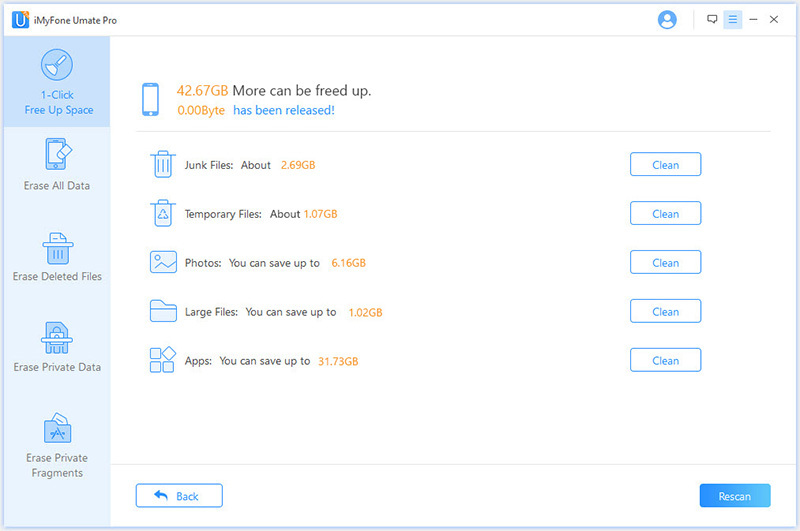 If you actually want to make the process of managing the storage of your iPhone simpler, iMyFone iPhone Clean Master or iMyFone iPhone Clean Master for Mac can be a great choice. It's an all-in-one solution to save space and protect privacy on iPhone/iPad/iPod, which not only to keep your iPhone clean, but also to protect your data safe. Thoroughly clear app cache, iTunes cache, corrupted files, crash logs and 30+ more junk files for free. Back up first, mass delete photos/videos or losslessly compress photos to reclaim 75% of photo storage. Mass manage apps or delete massive large files according to different sizes. Preview first and permanently erase private data from iPhone to avoid privacy leak. Find out and completely erase previously deleted files, so no one can recovery these files with data recovery software. 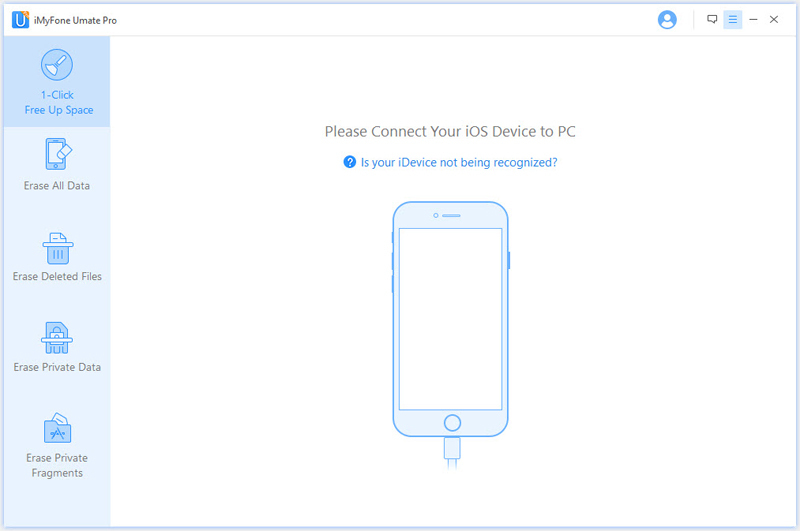 Completely erase all settings and content from iPhone, which is necessary before you sell your device. iMyFone is fully compatible with iOS 11 and receive lots of positive reviews from macworld.co.uk, Makeuseof.com , Cultofmac.com etc. This clean master iPhone is extremely easy to use. By simply following the below mentioned steps, all your iPhone storage problems will be a thing of the past. Step 1: Install the iMyFone iPhone Cleaner in your PC, then connect your iPhone to your PC. Step 2: Then, open iMyFone iPhone Cleaner and go to 1-Click Free Up Space tab. Click on the “Quick Scan” button. When scan finishes, you will get detailed information about the storage of your iPhone. Step 3: Once the scan is over, hit Clean button of the specific items to clear up junk & temporary files, losslessly compress photo or delete photos, mass remove large files and manage unused apps. iMyFone iPhone cleaner also has a free trial version. While the features of the free clean master for iPhone are limited, it is still an excellent tool for every iPhone. The amazing features of this free version are clear up hide junk files and temporary files, you can also try the function of compressing several photos or deleting an App. PhoneClean is a well done clean master for iPhone. Its interface has pleasant tones. It brings you the utter simplicity and easiness. This clean master will help you optimize your iOS device performanceby clearing up junk files and fix various iOS errors. With no jailbreak required, it also keeps your iPhone safe by providing personal data protection. Clearing up files which only take up space should be part of any iPhone users' routine. It is worth to have it installed on your device. CleanMyPhone is a good clean master for you to recliam storage space. It aims at helping you easily manage files and apps. If you have manay apps on your iPhone and you have no patience to find them one by one, you can consider this clean master iPhone. Besides, you can use it to remove your private data securely. 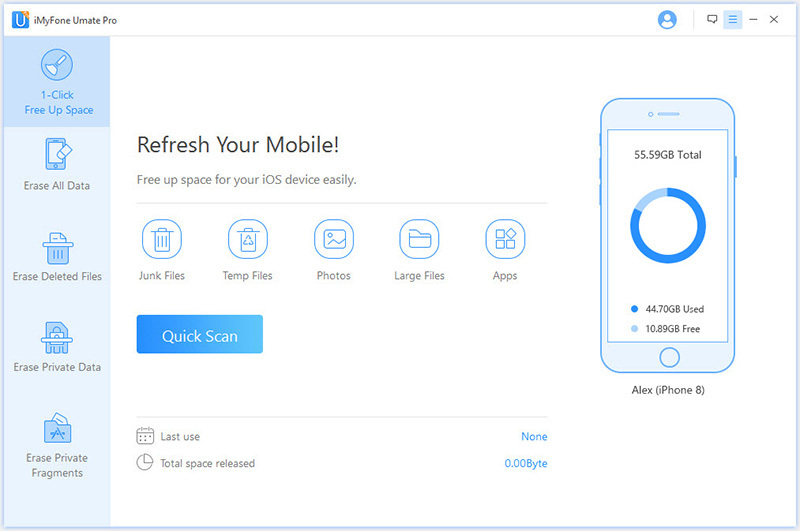 Large files may occupy much of your storage space, no worry, CleanMyPhone gives you the option to manage them. You can also choose to back up the vital data on it. All the options mentioned above are highly efficient and recommended. If you have no patience to clean your iPhone manually, choose one of them and it will do an excellent job of clearing up your iPhone.